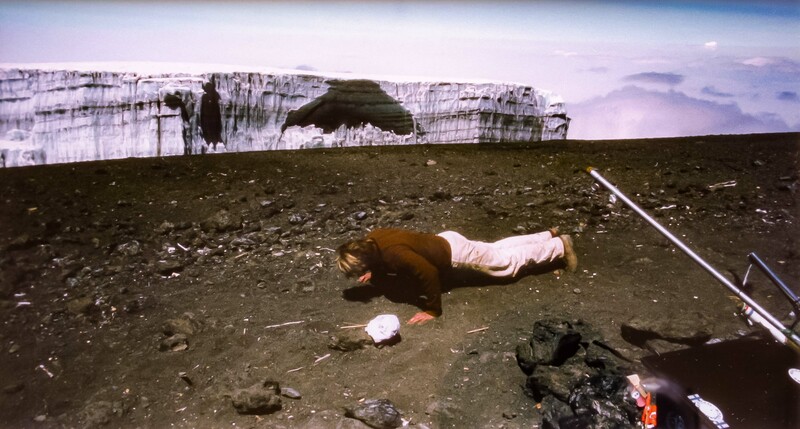 Tanzania, J Jeff Shea from the USA Doing 64 Pushups on Top of Mt. K(ilimanjaro), 1984 - On arrival at Uhuru Peak, the highest point of Mount Kilimanjaro, I celebrated by doing sixty-four pushups. I wrote in the book at top, "J Jeff Shea, from the USA, did 64 pushups, on top of Mt. K."